Hey there. My name's Ian. I'm a 29-year-old dude who resides in Alberta, Canada. Until December of 2018, when I finally rented it from my local library and watched it for the first time as an adult, over 15 years later. It'd been long enough that I'd forgotten large chunks of the film. And... dang! I also forgot just how good it was. Such a wonderful story. I'm so happy I re-discovered it. It might even be my favourite animated film of all time now. I don't cry often at movies, but I legitimately teared up when Littlefoot's mother died. And all this eventually brought me here, as I wanted to meet and socialize with other LBT fans. Welcome to the forum, StardustSoldier. I kinda envy you - I would give anything to forget much parts of the film only to watch it again, like I watch it for the first time in my life, with pure fresh emotions and feelings! What is your favorite charcter? Did you watch any of its sequels, and if yes - what's your favorite? Hey there, StardustSoldier and welcome to the forum! Hope you have a good time here. Thanks! I'm looking forward to my stay. As for the sequels, I can remember little snippets from a few of them. But, as with the original film (before I rewatched it), I haven't seen any of them since I was a kid. In particular, I know I've seen The Great Valley Adventure and The Secret of Saurus Rock before, and possibly a couple others. It'd be interesting to watch them again now, all these years later. I'll admit I'm a bit apprehensive about it, but kinda curious as well. I'll probably check out films #2-4, at least. So with that said, it limits my options of favourite character. But I'd probably have to go with Littlefoot. He's such a great, loveable protagonist who you root for all the way. It really feels like you're on this journey with him. Second favourite is probably Cera. I can see why people don't like her, but she's a great foil to Littlefoot, and she has a meaningful character arc. I've always had a soft spot for the "jerk who slowly reforms" archetype. Hi Stardust! Welcome to the forum! I've got a really bad memory, so I recently had the experience of rewatching the first movie as well. Even though I am a long-term fan, I had not seen the movie for 5 to 10 years. Definitely teared up during the scene with Littlefoot's Mother (and it didn't help that I was trying to do a voice-over of that exact scene, haha). Hello there and welcome to the Gang of Five! The original film is always a treat, I concur! Still a classic! Quote from: StardustSoldier on March 29, 2019, 07:02:17 am I'll admit I'm a bit apprehensive about it, but kinda curious as well. I'll probably check out films #2-4, at least. The sequels are actually better than many give them credit for (many make them sound like they're the worst things ever, but honestly I can name more travesty Disney direct-to-DVD films). That said, though they are a few ones where I do admit I cringe at *cough* XIII, but the films all develop the Gang and elaborate on their friendships and all quite a fair bit. But get used to singing dinos. Quote from: StardustSoldier on March 29, 2019, 07:02:17 am Second favourite is probably Cera. I can see why people don't like her, but she's a great foil to Littlefoot, and she has a meaningful character arc. I've always had a soft spot for the "jerk who slowly reforms" archetype. Many of the sequels actually build on Cera's acceptance and willingness to change. Besides Littlefoot, she probably has the most profound overall character growth and arc in the sequel films. Oh, I can definitely believe the sequels are better than people say they are. That in itself isn't why I'm apprehensive. It's more that (from what I've heard) they have a more light-hearted tone. Not a bad thing in itself. But one of the things I enjoyed most about the original is how it's a children's film that legitimately dark and sombre in places. It's a unique balance that you don't see too often. That, and the fact that they're musicals. I personally have never been the biggest fan of musicals. It seemed like a strange decision to me to add musical numbers when the original didn't have them at all. And more generally, the original film was such a magical, touching, 'lighting in a bottle' experience for me, I'm just skeptical that any of the other films could fully replicate all those feels for me. BUT, on the other hand, I loved the characters so much that I wanted to be able to spend more time with them, so I probably will watch more of the series at some point. Wow! Three new members in one month! Our Great Valley is getting bigger by the day! I was much like you in that I stepped away from LBT for way too long. I enjoyed the movies during my childhood, but then I thought myself to have outgrown them. Then a few years ago I re-discovered them all over again, and now I see just how the original film is more than just a children's movie. It's a dinosaur film that feels orientated for all ages, even adults. There was so much I had forgotten in the 15 years I spent away from the series, and I haven't looked them the same way since. As for me, Ducky and Petrie were always my favorite characters. 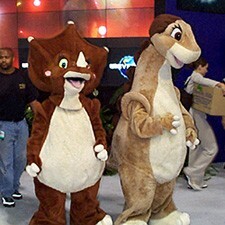 Somehow, I found them just a little more likeable than Littlefoot, but I guess that's just my view. I was never too fond of Cera. And yes, I agree with OwlsCantRead. If you ever binge watch the sequels, you're gonna have to get used to singing dinos! Welcome to the forum! It is always a pleasant surprise to see another member in our little corner of the Internet. Please feel invited to participate in any topic or discussion that strikes your interest. I hope that you enjoy your time here. Hello and welcome to the GoF StardustSoldier! I just so happen to be an almost 29 year old dude (turning 29 this April) that hails from the far away land of Alberta! It was almost 12 years when I first joined the GoF and a couple years before that when I had my re-watching the first LBT experience and while the gap wasn't as big as yours I very much had the same feelings. I actually had the most pleasant chance to watch the movie in theaters for the first time a couple months ago! Thanks for the warm welcomes, everyone. What is your guys' favourite LBT character? And, do any of you have a favourite sequel? I'm curious which one people consider the best. @Flathead770: Oooh!! 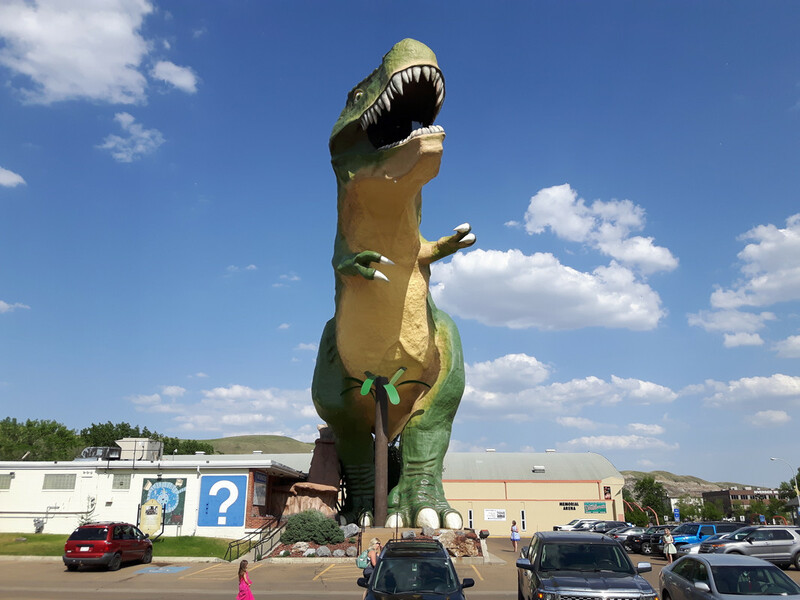 Is that in Drumheller? I've been there before, although it was years ago. I think I've documented it better in other posts, but Littlefoot and Chomper are my favorite character. As for sequels....I can't remember what I decided on haha. As a kid I really enjoyed 5. Oooh!! Is that in Drumheller? I've been there before, although it was years ago. You bet it is! I visited it last year as it was almost 16 years since I last went there. I'd definitely recommend going again! 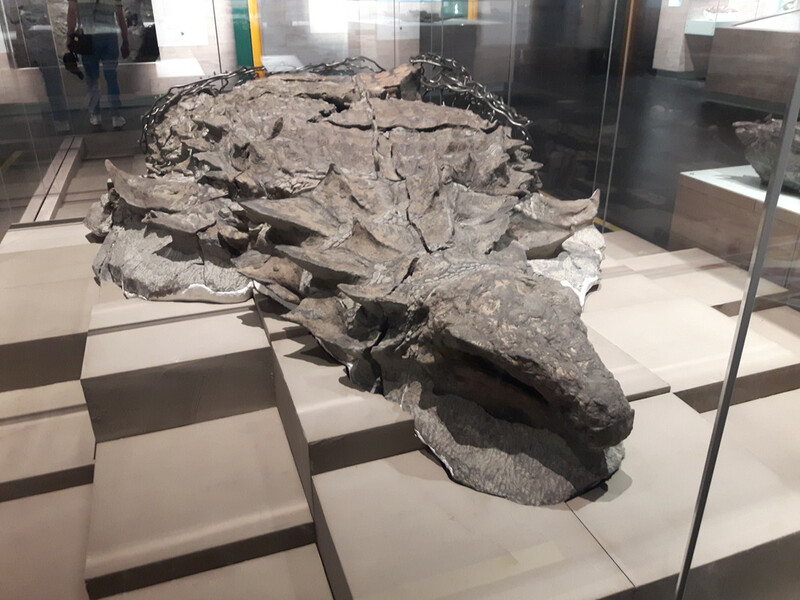 Plus they have one of the best preserved dinosaur fossils on display now! As for the sequels, they're probably up there with the Star Wars prequels in terms of how much hate they get from the general public, but they really aren't that bad, with a few exceptions (cough WISDOM OF FRIENDS), if you can accept that they are more lighthearted than the original, and they do have the characters singing a lot of songs, many of which are silly and unnecessary. However, some of the sequels actually are pretty good. I personally love Journey Through the Mists, Secret of Saurus Rock (which actually is one of the more hated ones), Stone of Cold Fire, and Great Longneck Migration (which should've been the last one imo). At any rate, it's always great to see new members!! That's an interesting comparison to the Star Wars prequels. I never thought of it that way before. Well, as someone who actually does enjoy the Star Wars prequels, I'm certain I will check out the LBT sequels then. It's always been my belief that any piece of fiction or media deserves a fair shake. And, if nothing else, I would enjoy being able to discuss them with you guys.